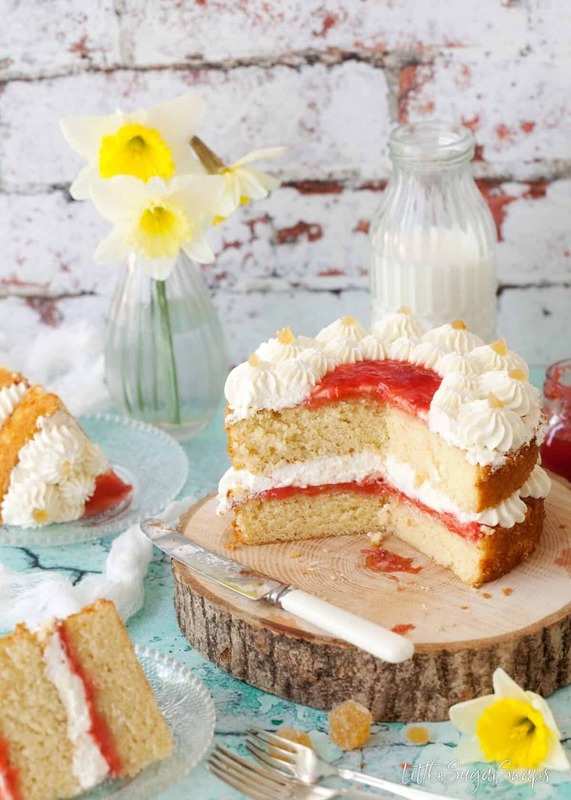 Easy Vanilla Sponge Cake is a recipe staple every baker needs. 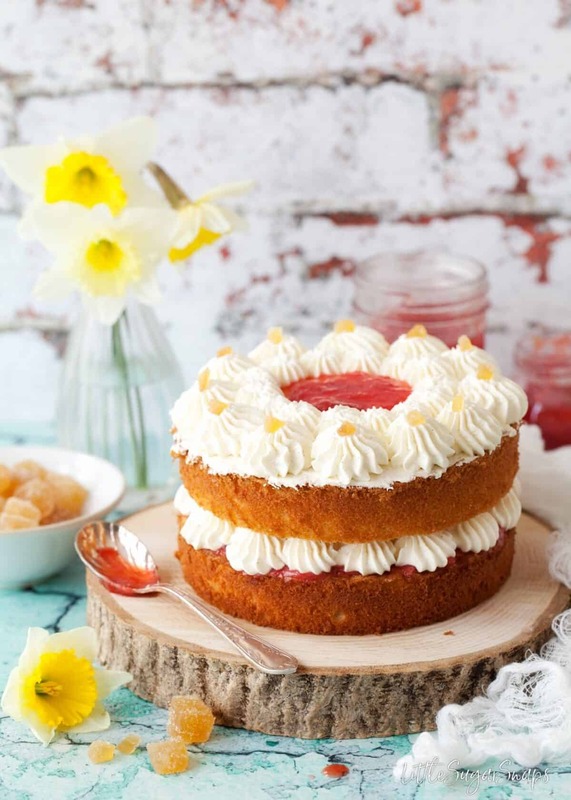 Adapt it with fillings to suit your latest whim safe in the knowledge that the base cake is as light and fluffy as any quality sponge cake should be. As a food blogger it is easy to get caught up in creating content that has a unique twist to it. Something that requires that extra bit of effort to push up the wow factor of a recipe. 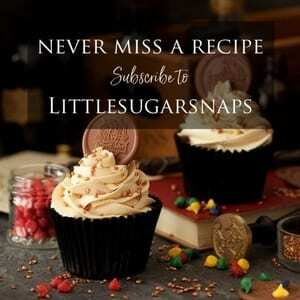 We bloggers like to impress our readers with fun new recipes and ideas. 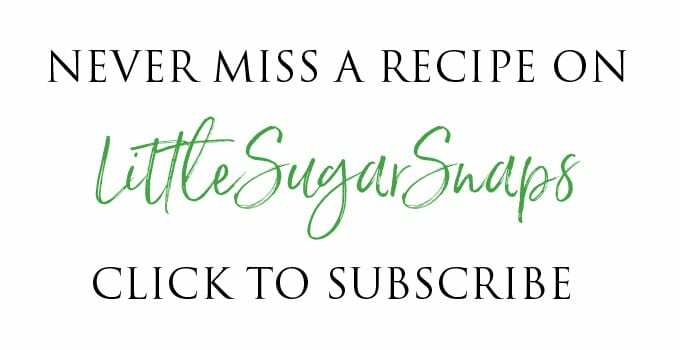 But the truth is, we all – food bloggers included – need a stash of quick, easy and reliable recipes to hand to pull ourselves out of the scrapes that the demands of modern life can put on our precious time. So this week I’m going back to basics. To where my love for baking began. 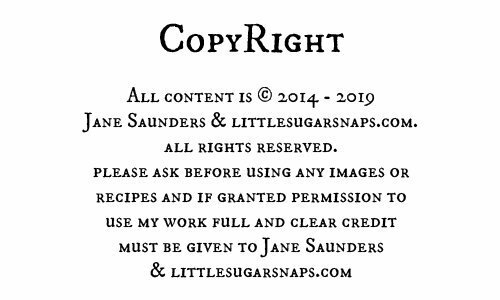 I’m bringing you a recipe that I have been making for as long as I can remember – the cake recipe that my mother first taught me as a child. (Hi Mum). Yes, the one I begged my mother to let me bake at every opportunity possible and more in between. It’s the recipe I still turn to time and time again because it gives consistently good results. The only difference between the c1980 recipe and the one I’m presenting today is that I’ve added a touch of vanilla extract and I’ve used an electric whisk rather than creaming and whisking the old fashioned way – by hand (hard work). 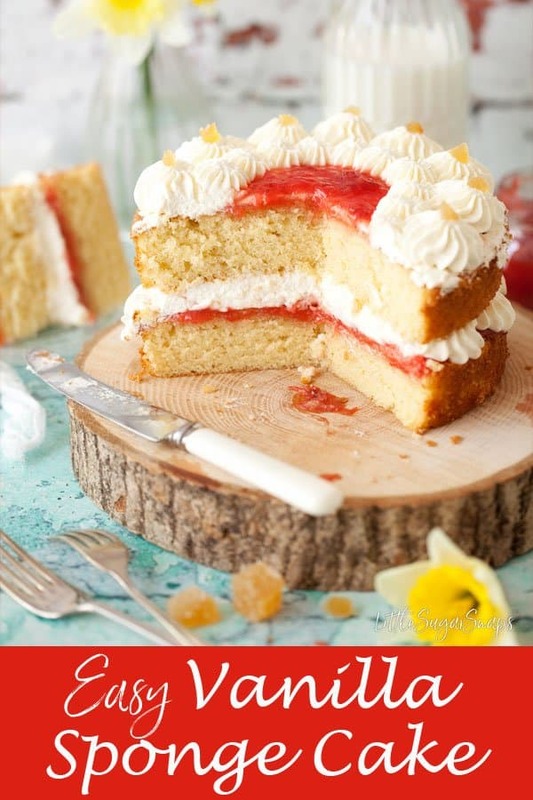 This Easy Vanilla Sponge Recipe is pure joy to make and the result is light & bouncy pillows of golden sponge cake that can be sandwiched together with pretty much any filling of your choice. 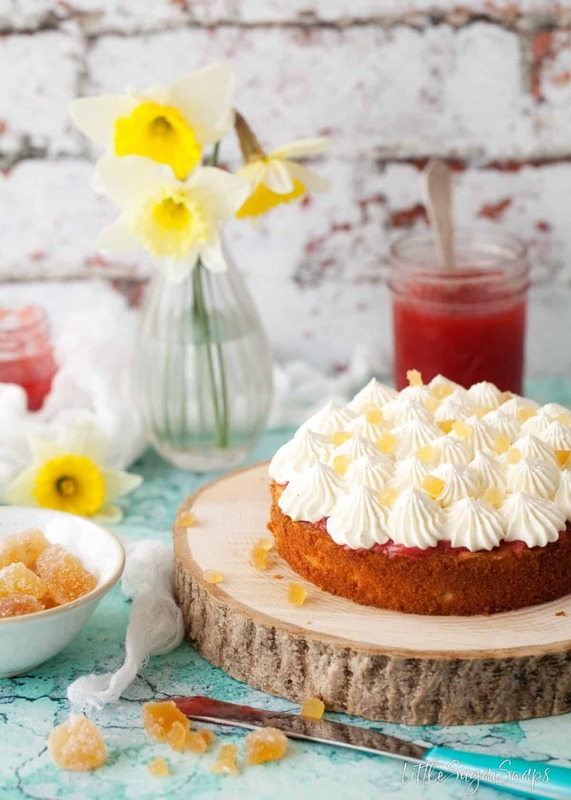 This time around I went for strawberry & rhubarb jam topped with vanilla whipped cream and a few nuggets of crystallised ginger. All in all, it’s quite a tempting stack. 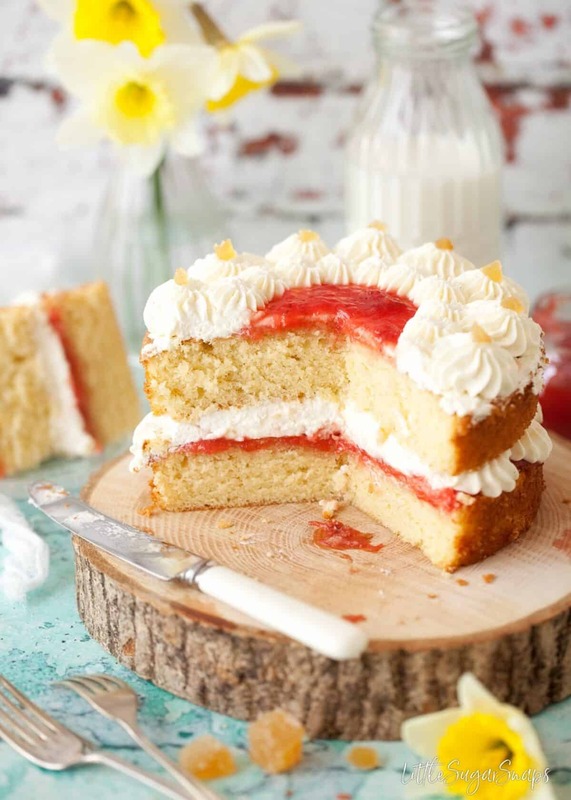 The base recipe for this Easy Vanilla Sponge Cake can be adapted to take on other flavours too. Childhood classics were chocolate, coffee or orange. This cake can handle buttercream in place of the cream and glacé icing adorning the top. Really, it ticks all the boxes that a base recipe should be able to tick. What sets this recipe apart from many other sponge cake recipes is that the egg yolks and whites are separated. The whites are whipped to stiff peaks and folded in at the very end, trapping tiny air bubbles into the batter and adding extra lightness to the baked sponge. It’s seemingly not common practice, but I do occasionally come across similar recipes using this technique. Yes, it is an extra step, but, believe me, it’s so worth it. 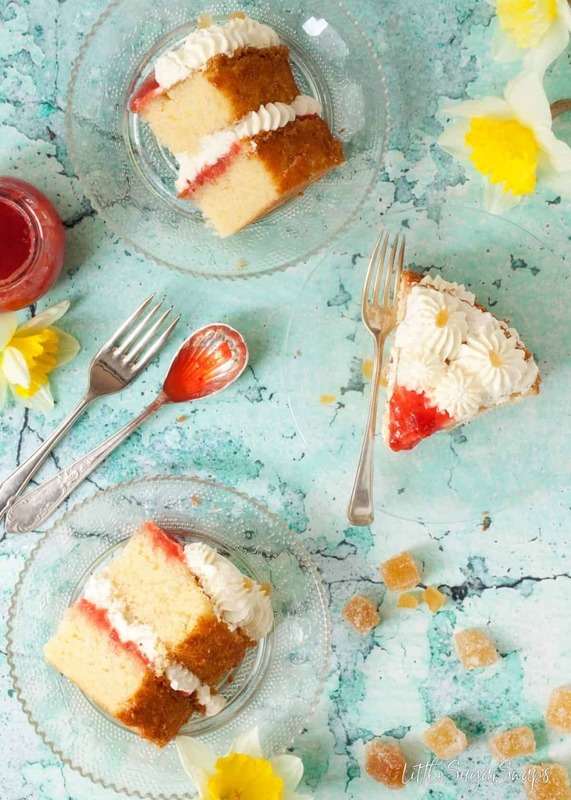 Here are the 6 easy steps to sponge cake perfection. These simple steps take me around 15 minutes to complete, so it’s a relatively quick recipe to put together. Once made, it’s up to you how to fill and decorate this cake. I went for some simple piping, using a Wilton 8b nozzle since I have yet to inherit the decorating skills of my mother – she’s a master when it comes to cake art. It’s also incredibly easy to scale the recipe up to suit various cake tin sizes. 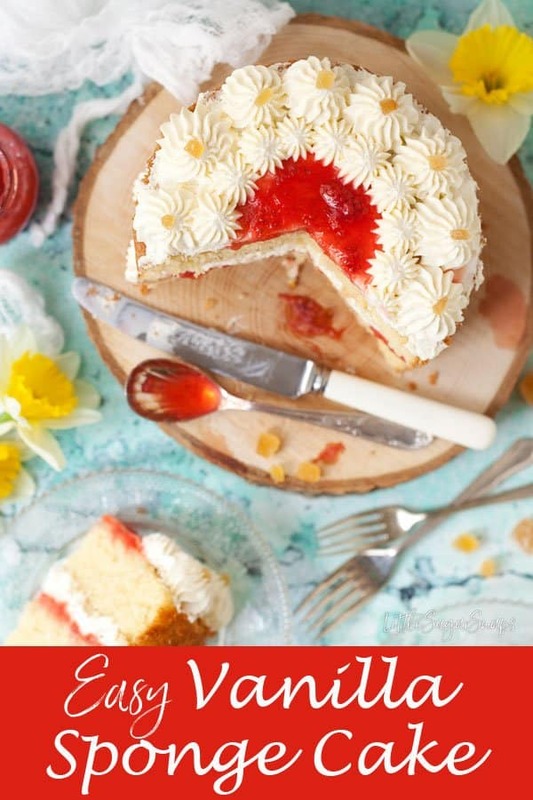 If you make this Easy Vanilla Sponge Cake I would love to hear how you get along. 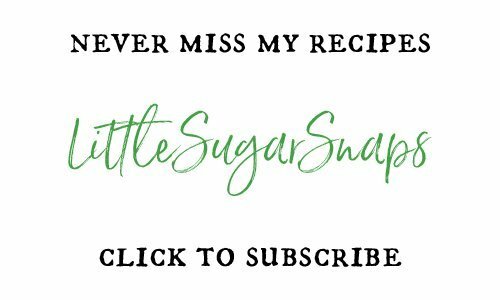 Share your gorgeous creation on Instagram and tag #littlesugarsnaps so I can see it too. I hope it becomes one of your go-to recipes as well. 7-inch tins (3 eggs + 180g butter/ sugar/ flour + 1 1/2 tsp extract + 1 1/2 tsp baking powder + 3 tbsp milk) - this is 1.5 times the base recipe. Allow extra cooking times for the larger cakes - perhaps check at around 23 minutes for the 7 inch cakes and 25 minutes for the 8 inch cakes. 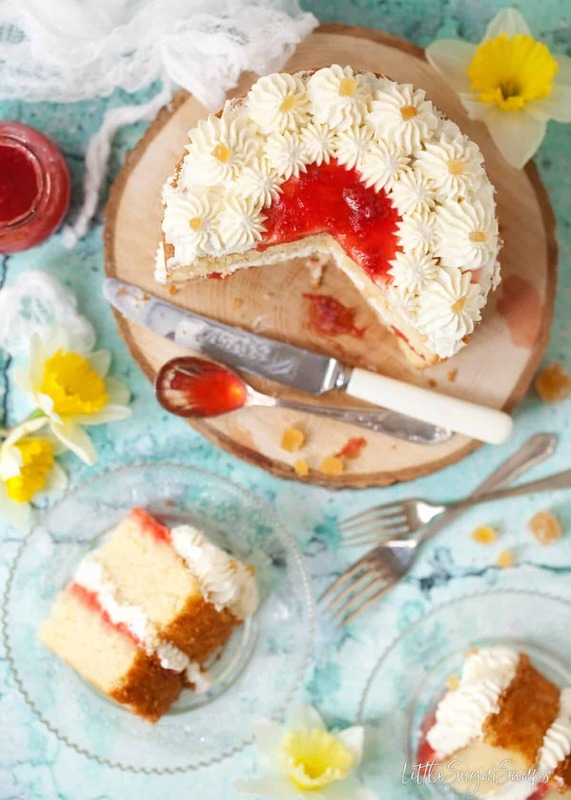 I just love this simple, no fuss sponge cake. Must be so flavorful with strawberry and rhubarb jam and fresh cream. It’s my dad’s birthday tomorrow. I am going to bake this for him. I know he will love it. it’s not strawberry season yet so I will use strawberry jam in between and cream on top. Sounds perfect to me – I wish your Dad a very happy birthday! Such a flavorful and stunning looking cake! Looks great. I am rubbish at baking and have to make a birthday cake in a few weeks for 2yr old, so will be referring to this! Nice pipe work too!